I just bought a Sony Clié at PalmSource ... and I really hate USB so I build a serial HotSync cable for my Clié. I'm not very good in building electrical stuff so if I can build it, you can build it too. If you break anything (cable, connectors, Clié device, etc...) while building (testing, etc...) the cable I don't take any responsibility. I used the device connector from the USB HotSync cable that came with the Travel Kit. Sony is very nice, the connector is screwed and all pins are in the connector (the USB cable only uses 4 so you have pins 9 left and we only need 6). 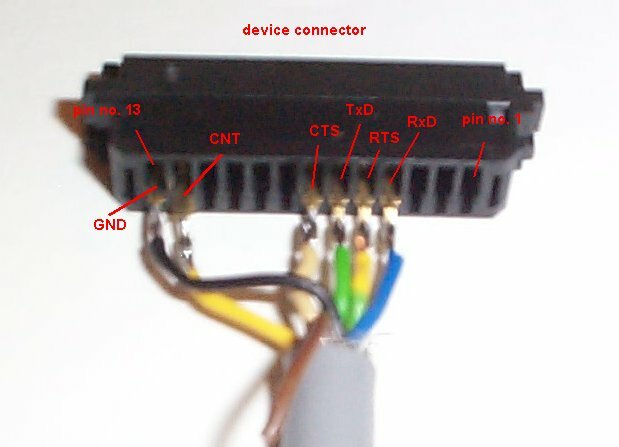 If you look into Sony's specs of the Clié (www.us.sonypdadev.com) you see that you need 1.0V on pin 12 of the device to activate the serial port hardware. If you check the pin you see that the port supplies about 2.5V so we just connect a resistor to it and the ground (GND pin 13). I used a 47K ohm resistor (gives me about 0.97V) which works perfect for me. I put the resistor into the 9-DB-F connector box because the device connector was to small for a nice job. 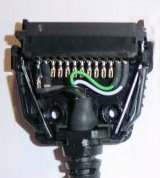 Thats also the reason for the cable on pin 12 that you can see on the picture below. 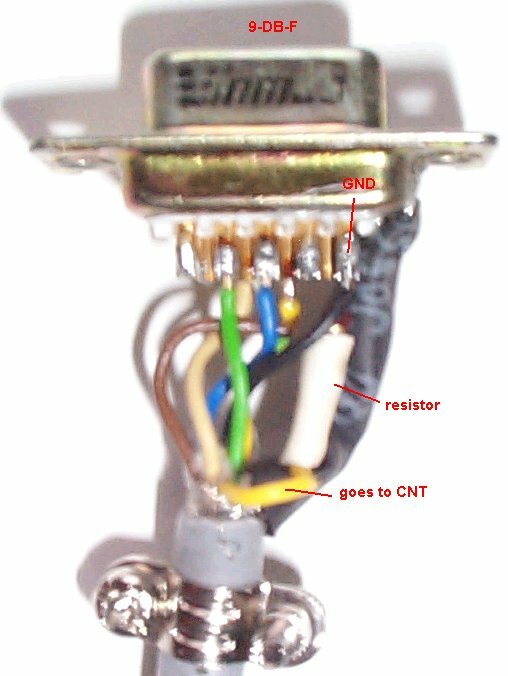 The connection of pin 3 (Clié side) to pin 6 (DB-9-F side) isn't needed for a pure HotSync cable. You only need this if you want to get a more universal serial cable (to connect something like a GPS receiver to your Clié). This connection is not shown on the pictures below! The Information about this (pin 3 and 6) was taken from the EuroClie site. 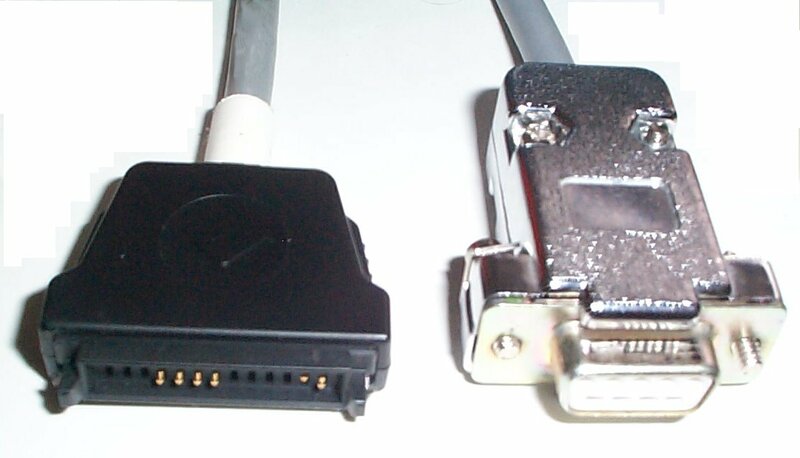 Original (opened) USB connector - this is the device side connector (! ), the white and green cable are the USB cables and on the left side you see ground and cnt. Thanks to Hans-Gerd for this image ! When it looks like this you did it.